By definition, title insurance is "A policy issued by a title company after searching the title and which insures against loss resulting from defects of title to a specifically described parcel of real property or from the enforcement of liens existing against it at the time the policy is issued". In layman's terms, imagine a basket of sticks. This basket of sticks is the property you are about to purchase. When you have a lien on the property, someone has taken a stick from that basket. When you have a homeowners association, someone else has another stick. When you have construction being done, yet another person has a stick. The job of a title insurance company is to find out who has all of the sticks from this basket and insure that there are no more sticks mysteriously hiding from that will appear years later when you own the property. To protect your most important investment - your property! The title search determines from public records who has rights to the property. It validates that the person selling the home is free and clear of any other person or company holding rights to the property they are trying to sell to the buyer, and that the buyer is getting sole rights to the property. This is a report that states whether or not there are any other claims to the ownership of the property. This will give the lender security for a new mortgage loan or allow issues that need to be addressed to come to light. Title insurance and deed stamps must be the same cost from title insurance company to title insurance company. There are fees that may differ from company to company, however, such as search and exam, administration, courier and closing fees. All Florida Title is known for having extremely reasonable fees, much lower than that of our other title company friends, and we also have no hidden fees or upcharges. We encourage you to always ask about hidden fees or upcharges when shopping for title insurance. Without a title insurance policy, there is no protection for the buyer. Any hidden problems not disclosed by public records or a mistake in tile examination might hold the buyer accountable for any prior issues relating to the property. 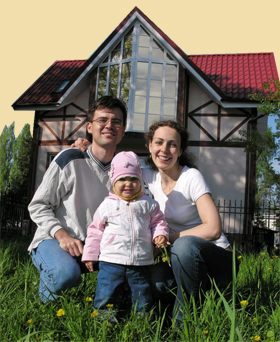 The title insurance policy insures that you are free of being held responsible for those claims that may arise.